But there’s something missing, and I believe it’s an even bigger part of the equation: social, more specifically, Facebook. 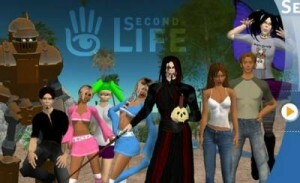 Second Life launched in 2003. Facebook came out in 2004 and with it came the rise and explosion of Zynga games, FarmVille and CityVille. If purpose is the defining factor for success, then why is one of the most purpose-driven games in the world, World of Warcraft, losing players? My answer: Facebook. Blizzard Entertainment’s now seven year-old brainchild has been losing players since last October and has lost ~two million subscribers during the last 12 months. Let’s compare this to The Sims Social, the Facebook addition to the Sims series. By augmenting the videogame with a Facebook edition, it expanded its user base and is second only to CityVille, Facebook’s most popular leisure activity. Second Life failed because Facebook became our new virtual world, our “second life.” The alternate world is simply too disconnected from where people spend the majority of their time online. You really make it appear really easy together with your presentation but I find this topic to be actually one thing that I feel I’d by no means understand. It kind of feels too complex and very wide for me. I’m taking a look ahead for your subsequent submit, I will attempt to get the dangle of it! Here’s the name I suggest for your new vtrauil running partner: Newbie Electric Antonucci or N.E.A. for short so you could do more reports on yourself 🙂 and always have NEA close by. Too bad it’s not a heart rate monitor or you could have NEA close to your heart always.